where am I at the moment? Hm, not so easy to say. But it looks familiar and I can remember some of the scenes! Anyway, everything looks the same the whole year here – no grass, no green trees, nothing! 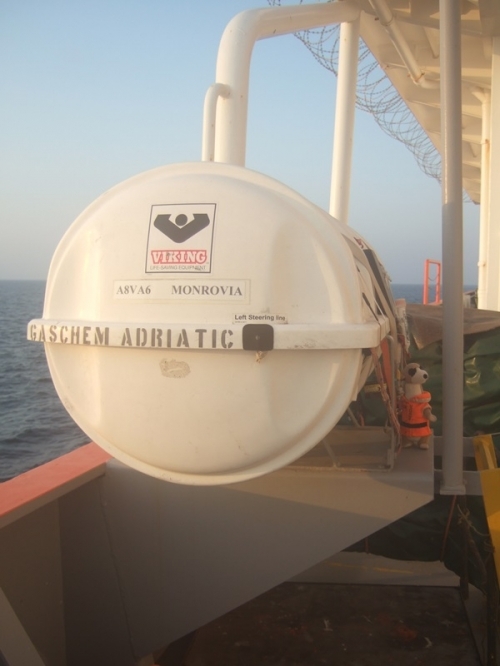 Guess what, I am again with the Gaschem Adriatic on anchorage in front of Ruwais, United Arabic Emirates. We already wait one week to get alongside for loading cargo. 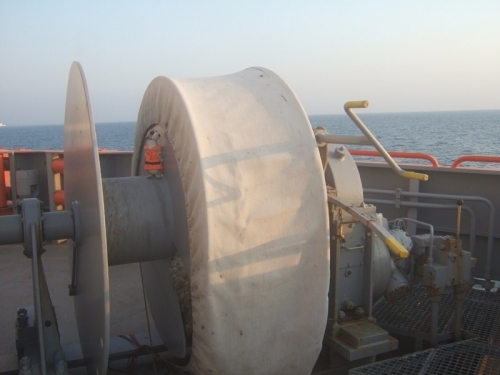 I went on deck – withstanding the heat! 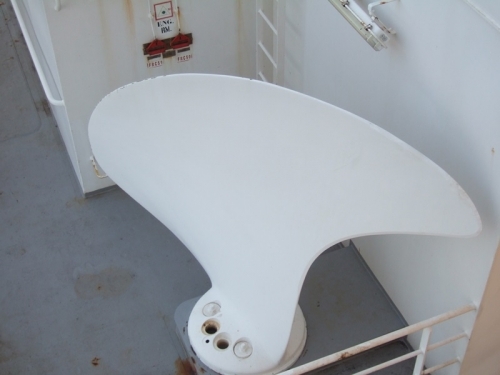 I started on the aft of the ship. 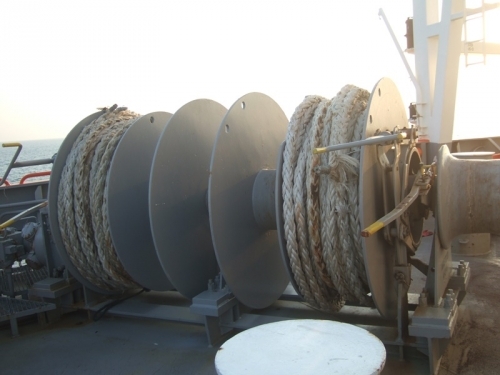 I found there thick ropes stored on the mooring winches, wow! They look strong and it seems they can keep some load! There are also two boats. A free-fall boat which is stored in a ramp and a rescue boat (in the picture covered). 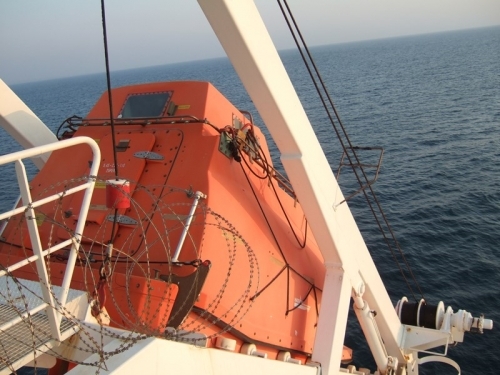 The free-fall boat is for the crew in case the ship is sinking. The rescue boat is for recovering seaman which fell overboard. But I tell you that is not easy if you have bad weather. I found a white box and I don’t know what is inside! 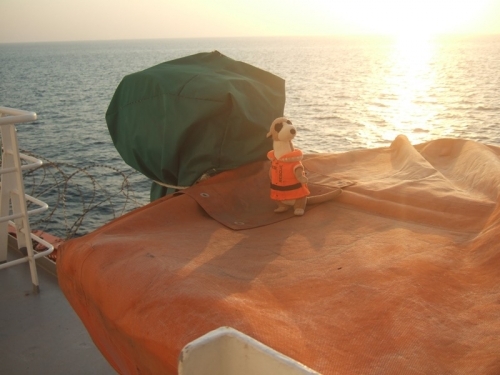 Ah, it is written on it: life raft! How it looks? I try to release the rope! Doesn’t work. I am just not strong enough. But I like to see one afloat! Ah, Christoph has checked his pictures for me and… that’s how it looks ! Can you help me with the last picture? I don’t know what it is and Christoph doesn’t share this secret with me. I asked already the other crewmembers but they say also nothing! Bye and hope you can help me!